Below you can view all the townhouses for sale in the Granville subdivision located in Denver Colorado. Listings in Granville are updated daily from data we receive from the Denver multiple listing service. To learn more about any of these townhouses or to receive custom notifications when a new property is listed for sale in Granville, give us a call at 720-729-2320. The home has newer appliances, paint, gleaming oak hardwood floors on the main level, generous master suite, and a spacious 2 car attached garage.The neighborhood is close to many shops, restaurants, public transportation, to enjoying the community pool, there is access to the highline canal and trail beyond the greenbelt in back yard. MLS#3930130. COLDWELL BANKER DEVONSHIRE. Open Floor Plan*2 bedrooms + Loft*Large living room*Formal Dining Room*Eat in Kitchen*New Appliances*Perfect size yard*This property has been Loved*New paint* New Carpet* Popular Location*Easy Access to all*New LED Lights*Corner Lot*Curb Appeal* MLS#4299569. Precision Homes Real Estate. Easy access to cherry creek and DTC. MLS#3730636. MB COLORADO RTY LLC. This house is ready for your loving care and design ideas to become your perfect home! MLS#8589456. HomeSmart Realty Group. The location of this unit is ideal...literally 15 steps to the High Line Canal Trail & easy access to Cherry Creek North, DTC, Lowry & more. MLS#4462445. Thrive Real Estate Group. Tons of possibilities on this one, dont miss out and schedule your showing now! MLS#5596303. Your Castle Realty LLC. A carport space comes with the unit, The neighborhood pool is conveniently located across the parking lot. This one will not last! MLS#8893375. Porchlight Real Estate Group. Enjoy bonus laundry room and spacious one car garage will have you feeling right at home. MLS#9142763. Open Door Real Estate Inc. The HOA provides two reserved parking spaces. MLS#7943220. Laine Jones & Co..
2 large living spaces. Wood burning fire place. MLS#7319635. Great Way RE Exclusive Properties. Check out the pool and clubhouse! MLS#3791691. LIV Sotheby's International Realty. 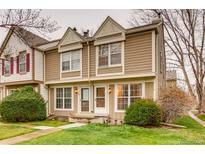 This Town home is located within a very short drive to Cherry Creek, Denver Tech Center, Cherry Creek Country Club, Whole Foods and Tamarac Square. MLS#5846106. Keller Williams DTC. If you're looking for value, ample entertainment space and move in ready, then you will not find a better option than here. MLS#2292994. Thrive Real Estate Group.